Since we haven't featured any new destinations in some time, we figured it was time to decommission the "Featured Destinations" page and instead archive the two destinations here in separate blog posts. Going forward, if we do have a "Featured Destination" to write about, it will be a regular blog post and we will have it tagged with "Featured Destination" along with any other relevant tags. 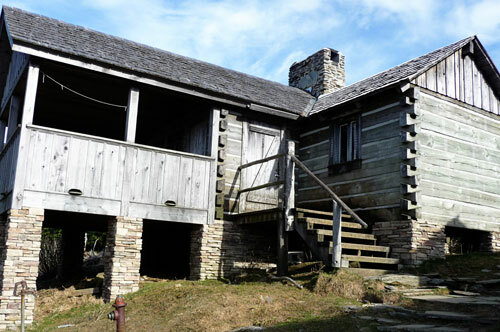 So for the first archived "Featured Destination" We present to you LeConte Lodge. 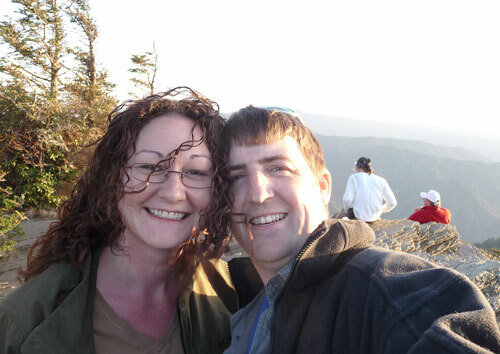 Last year around this time, Robin and I took an overnight trip to the top of Mount LeConte for our anniversary. For years we've always rented a cabin for a weekend to celebrate what we coined our "anni-moon". You see, we were married on top of a mountain in Pigeon Forge, Tennessee, and for our honeymoon we stayed in a cabin in Gatlinburg, Tennessee. So every year since we have celebrated our anniversary in much the same way. 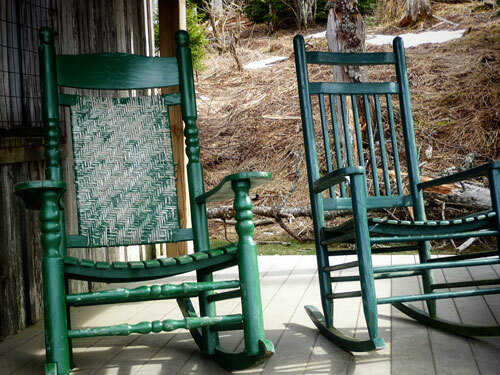 Always a cabin, and always in the foothills of the Great Smoky Mountains. Last year wasn't any different. However, we've always done these trips a month or two prior to our actual anniversary. The difference last year was that I wanted to do something special for Robin on our anniversary, rather than something small due to our early anni-moon getaways. 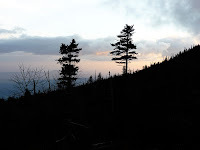 The something different was an evening stay atop Mount LeConte at LeConte Lodge in the Great Smoky Mountains National Park. Considering it is Springtime, we need a new "Featured Destination", and LeConte Lodge recently opened for the 2011 season. It seems fitting to us that the Lodge should be the "Featured Destination" for the next couple of months. Situated near the top of Mount LeConte (The third highest peak in the Great Smoky Mountains) at 6,360' LeConte Lodge is managed daily by Chris and Allyson Virden and their hardy crew. The lodge was first started in 1926 by a Gatlinburg native, Jack Huff after VIP's from Washington were entertained at a former tent camp in the same location. Now, the lodge is operated by Stokely Hospitality Enterprises, and supervised by Tim and Lisa Line are the general managers. 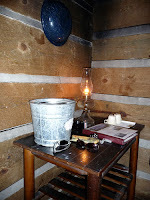 Today the lodge features wonderfully rustic accommodations in one of 7 one room cabins or 3 multi-room lodges. In addition to the cabins and lodges, there is also the office/recreation area, the kitchen/dining room, and a modern privy complete with flush toilets. 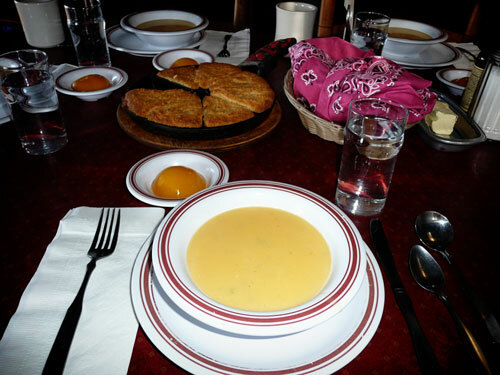 The lodge provides a wonderful dinner in the evening and a hearty breakfast for their guests. Additionally the lodge provides lunch for guests staying more than one night. They also offer sack lunches for guests at an additional charge, as well as to day hikers up for an afternoon hike (Day hikers may also reserve a sit down lunch at the lodge but this requires a 48 hour advanced reservation). There is also a store at the lodge, it is located in the office/rec center. Here you can purchase small snacks, t-shirts, and various other accouterments. For guests, the rec center has books, games, and more to help pass the time. There are also some nice hikes up to Myrtle's Point to enjoy the sunrise or Clifftops to enjoy the sunset. 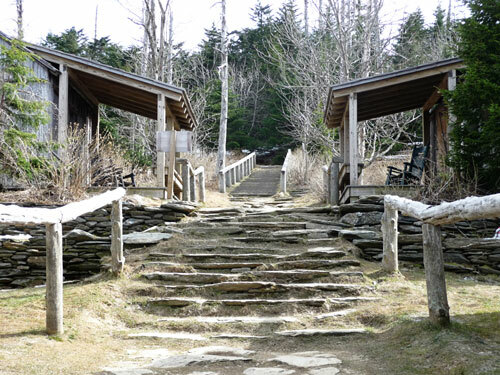 If you plan to take a trip to LeConte Lodge, here are some things to note. Call for reservations as soon as they start taking them for the next season. There are some openings as of now according to their site, but they won't last long. Their rates are reasonable - $116 per adult per night, this includes supper and breakfast. They also serve wine at supper time for $9.00. The glass is bottomless during the supper hour. For children age 4-12 it's $85 per night. There's also group rates available for the 2 and 3 room lodges, check their rates page for more information. Another thing to note, there is no electricity at the lodge. Heating is by gas heat, light is by kerosene lamp. There are no bath or shower facilities either, so to wash up you are provided with a bucket to fill with hot water near the dining room. Be sure you bring a towel and wash cloth. There are 5 different trails to hike to the lodge on. 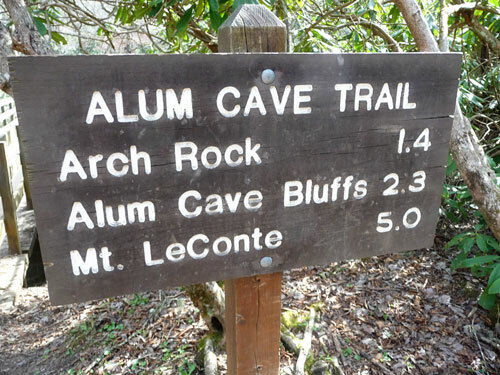 They include Alum Cave Bluffs - 5.5 miles, The Boulevard Trail via the AT - 8.1 miles, Trillium Gap Trail - 6.5 miles, Bullhead Trail - 7.2 miles, and Rainbow Falls Trail - 6.5 miles. As for which trail is the easiest, it's been said that Trillium Gap has the least amount of elevation gain. This is the same trail the Llamas use that pack up supplies to the lodge throughout the season. The Alum Cave Bluff trail is the shortest trail but is no walk in the park. The Boulevard is the longest, but it also allows for 2.7 miles worth of hiking on the famous Appalachian Trail. So if you want a short or extended getaway from the city or the hustle and bustle of the rat race and technology, consider a few nights at LeConte Lodge. Chris and Allyson run a tight ship and the crew is very friendly and helpful. The meals are top notch especially after a strenuous day on the trail. Be sure to fill up extra on breakfast, you will need it for the trip back down when you are ready to go. Robin and I had a truly wonderful time there last year. It is definitely one of those destination you want to add to whatever list you may keep. 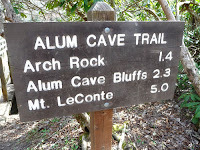 For updated info on trails and conditions check out Allyson's daily posts on their blog High On LeConte.